L'Oréal Professional understands that hair is the fashion accessory of today! 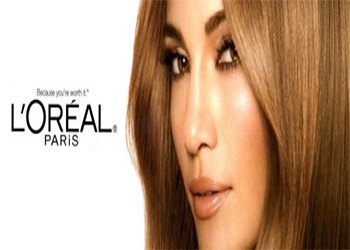 L’Oreal Professional hair care products are renowned to create beautiful hair with outstanding results time after time. Discover all the great L'Oréal Professional products including série expert, série nature, homme and Mythic Oil – all available online at Hairtrade today! Description Damaged hair adores this fabulous shampoo fix. Enriched with Lactic Acid, the formu.. Description Care for sensitised, seriously moisture-sapped hair with this nourishing makeover m.. Description: Elnett Satin is the legendary hairspray of choice for red carpet events and cove.. Description Phase one in the Lo real Professionnel Serie Expert Force Vector programme, this Sh..
Enriched with water lily and purified water for dry hair. Description: ..
Enriched with tea tree oil, anti-dandruff agent and cooling menthol for stressed scalp & hair.. Description: Discover the secret to beautiful, soft and shiny hair with this L'Oréal Professi.. Description Great news for all L'Oréal Mythic Oil fans, especially those with coloured tresse..
Nourishes the hair, to leave it feeling silky, smooth and soft to touch Action - Nourishes.. Description: Great news for all L'Oréal Mythic Oil fans! L'Oréal bring you Mythic Oil Milk, a.. Provides a refreshing cleansing experience, leaving your hair feeling tamed, manageable and looki.. Description L'Oréal Professionnel Oxydant is a high quality peroxide that is optimise.. Description: The nourishing formula is based on purified water, a cationic agent and conditio.. Ideal for dry and damaged hair. Description The nourishing formula is based on purified w.. Ultimate shampoo for frizzy, rebellious hair Description For super smooth, luscious locks..